Theresa May says she will quit as the UK's prime minister if MPs back the EU divorce deal with Brussels. She made the comments in a meeting with her own MPs on Wednesday afternoon, according to a statement from 10 Downing Street. May did not set out a timetable for her departure but she is likely to be out of No 10 by the Autumn. The option was first put to MPs at an emergency meeting at the Prime Minister's official residences, Chequers, and it is seen as key to getting some of the more hardline Brexiteers such as Boris Johnson, Jacob Rees-Mogg and Iain Duncan Smith on board. 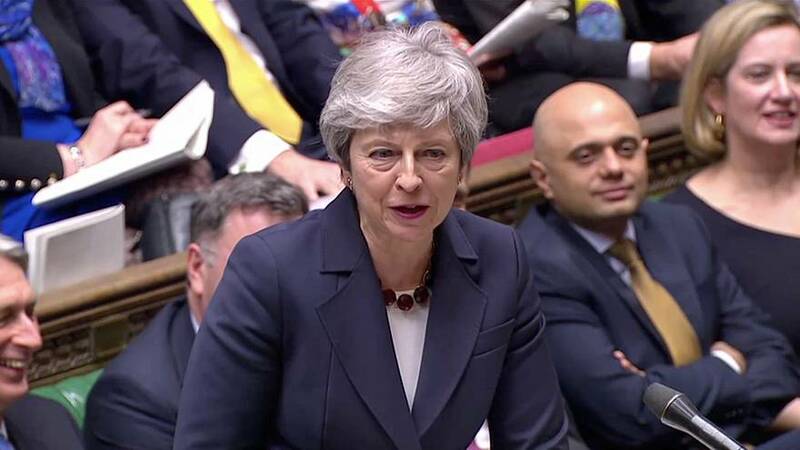 In December, May had promised to step down before the next general election, which is currently set for 2022 but can be brought forward, following a failed Vote of No Confidence in her as Conservative leader. But the situation has steadily deteriorated since the beginning of the year after she failed to get her Brexit deal through the House of Commons twice - one in January and one in February. May further angered MPs last week when she delivered a televised address where she attempted to go over their heads to appeal directly to the British public saying it was MPs who were frustrating the will of the people. Many MPs condemned her remarks reminding her that they had been the subject of death threats and harassment from members of the public over Brexit. May's announcement has unofficially fired the starting gun on the next Tory leadership contest. The official party rules mean all candidates are voted for by MPs in rounds of voting until they get to two final candidates who are then put to the party membership to vote on. Some of those expected to put their hat in the ring include former Foreign Secretary and European Research Group member Boris Johnson who was only unable to stand for the leadership in 2016 after he was double-crossed by his former ally Michael Gove. Other people expected to run include former Brexit Secretary Dominic Raab, Foreign Secretary Jeremy Hunt and Home Secretary Sajid Javid.